Paul Pogba has admitted he has to bite his tongue when discussing his situation at Manchester United or risk being fined. Two years after returning to Old Trafford from Juventus in a world-record deal, the 25-year-old is reported to be so unhappy that he has informed executive vice-chairman Ed Woodward of his desire to leave. United have denied that happened, while it was also reported that Mino Raiola, the player's agent, had even struck a deal with Barcelona - a scenario the club have vowed to reject. A tense relationship with Jose Mourinho appears to be at the heart of it. Questions about their relationship were raised last season and the French midfielder is said to have been annoyed by his manager's comments around the World Cup. 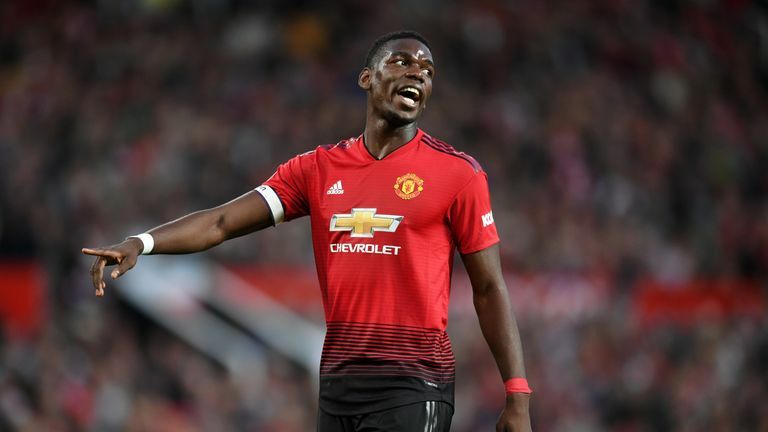 Pogba only returned to training at the start of the week after helping France win the tournament but he was thrust into the starting line-up on Friday and given the captain's armband, with his penalty setting up United's 2-1 win over Leicester. 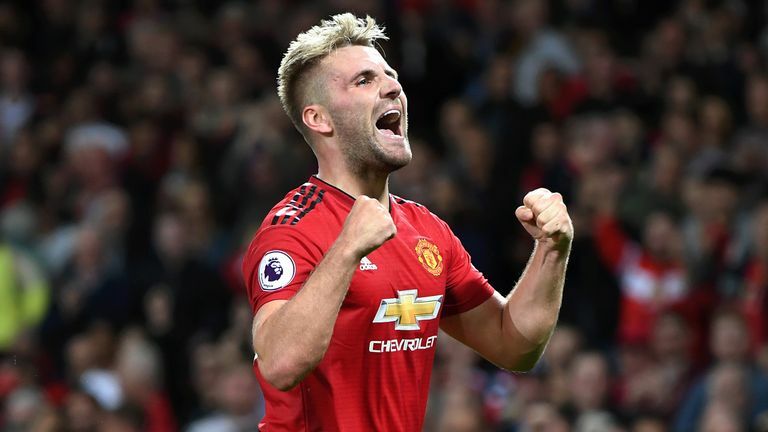 It was an impressive display that led to a standing ovation at Old Trafford and one that had Mourinho describing the Frenchman as a "monster". "What do you mean being the real Pogba?" he asked. "You have to know one thing: a player that gets chosen and is happy, you always feel more comfortable than when he's not happy. That's all I say." Pogba was pushed on his response and said that "if you're not happy, you cannot give your best" when asked about what represents happiness and comfort for him. He insisted there is no point doing a job if you are not enjoying it, so he was asked whether he is currently happy and comfortable right now. "There are things and there are things that I cannot say otherwise I will get fined," Pogba said before walking off. It was a striking comment from the midfielder in what has been one of few occasions that he has stopped to speak to the written media after a United match. "It's not having just the armband," Pogba said of his view on leadership. "I have always been talking to the team-mates. "I am someone who is not in a role that I give to myself. Just try to help the team as much as possible, like they helped me too. "Having the armband, it's not like 'oh, I will show that I am a real captain and have to do extra work'. No, I just have to be myself and do what I know, do what I can do and do what I know to do." Former captain Michael Carrick and fellow coach Kieran McKenna informed Pogba that he would lead United in his first match since winning the World Cup. "I am the same, it's the same Paul Pogba," he said reflecting on the summer. "It's a different team, obviously. I am still enjoying playing football, I still love football and I still give my best with the team, for the team. "Like I said, when you are comfortable, when people trust with everyone or confident, are good in the head, it's going to be easier." Reflecting on his promotion to skipper, Pogba added: "I always love the club. I came in the academy, I grew up. I came from the academy, I played for the first team. For me, it was a dream come true. Join Sky Sports Fantasy Football before Newcastle v Spurs kicks off to rack up points this weekend.